New models of care and payment are creating unique opportunities for pharmacists to increase engagement with their patients. Mirixa Corporation, the leading provider of medication therapy management (MTM) services to health plans and PBMs, is pleased to announce that its Board of Directors has appointed Frank Harvey, RPh, MBA as the company’s Chief Executive Officer. Mr. Harvey will also serve as a member of the company’s Board of Directors. 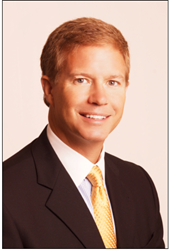 Mr. Harvey has an extensive background in the healthcare industry. Prior to joining Mirixa, Mr. Harvey served as Chairman and CEO of Liberty Medical, the nation’s largest provider of diabetic testing supplies; he was initially hired as the Chief Marketing Officer and was subsequently promoted to President, and then to Chairman and CEO. Previously, Mr. Harvey was President and CEO of several Harte-Hanks subsidiaries before being promoted to Corporate Officer with responsibility for all Agency, Analytics, Database, and Digital Harte-Hanks companies. Early in his career, Mr. Harvey was employed in a number of management positions with Roche Pharmaceutical, PCS Healthsystems, Eli Lilly, and Revco Drug Stores. Mr. Harvey has served the healthcare community extensively; he was the President of the Quality Diabetes Care Coalition, a DC-based lobbying organization which works to improve the quality of healthcare for patients suffering from diabetes. He has also served on the board for St Mary Health System in Newtown, Pennsylvania, the Advisory Board for the Virginia Commonwealth University, Medical College of Virginia School of Pharmacy, and the Board of the South Florida American Diabetes Association. “The Mirixa Board is pleased to have Frank on board leading Mirixa during this exciting time in pharmacy as opportunities to provide pharmacy-based services continue to grow. Frank’s background in the healthcare industry, plus his experience leading a variety of enterprises are assets that will help propel Mirixa to continue realizing the company's vision of unlocking the power of pharmacy,” said B. Douglas Hoey, RPh, MBA, Chief Executive Officer of the National Community Pharmacists Association. As an MTM pioneer, Mirixa Corporation, since its founding by the National Community Pharmacists Association (NCPA), has been harnessing the knowledge and skills of pharmacists to engage more patients and deliver measurable results. Dedicated to improving patients' health, Mirixa enables the health care community to deliver patient care services through retail pharmacy. Pharmacists use the MirixaPro℠ web-based clinical platform to deliver standardized patient care services. For more information, please visit http://www.Mirixa.com.